Hello again. today I haven't so much a tip but more of a tutorial. 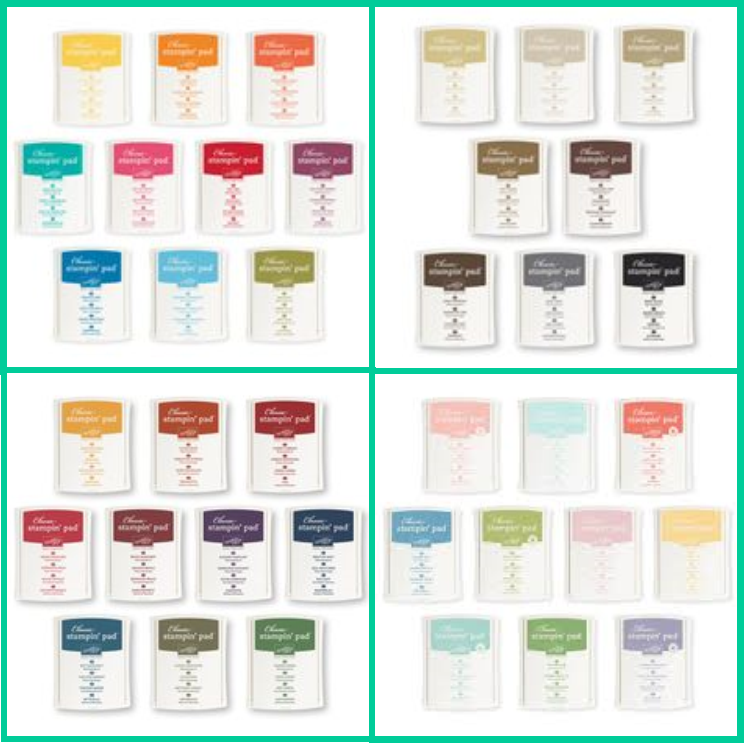 Anyone new to stamping will be so confused by the array of ink pads on the market. It really is a minefield, each having their own specific job to do. Use the wrong type and your results will be less than perfect. So, what do Stampin Up have and what are their uses. Black Stazon - this permanent ink is solvent based and is designed for stamping on non-porous and semi-porous surfaces such as glass, metal, acetate and leather. It dries very quickly so always replace the lid promptly when not in use. 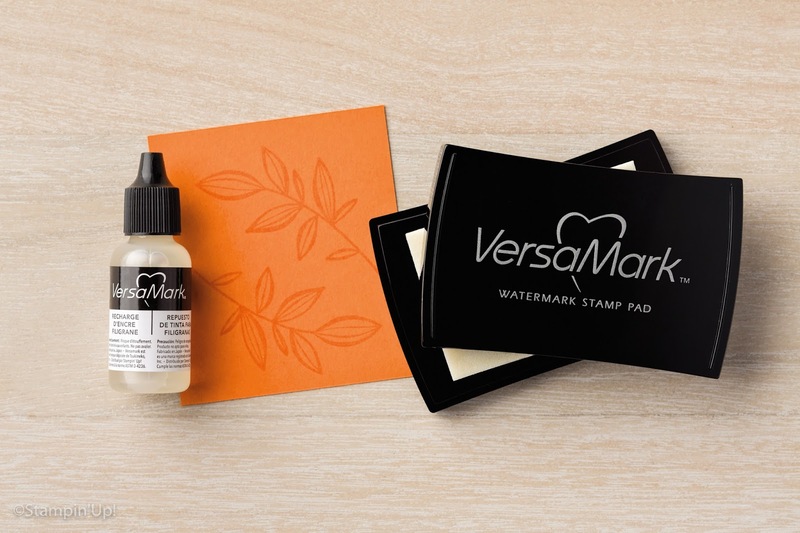 It's ideal to use for outlining and you can use Stazon with Stampin Up Classic Ink and Aquamarkers to watercolour without fear of the Stazon smudging into the colours used. Stamps need to be cleaned with a solvent based cleaner when using Stazon. Just a note of caution, Stazon can react to photopolymer stamps, so clean thoroughly after use. 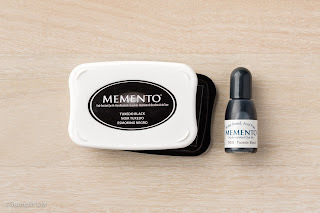 Black Memento - this is a water based dye ink. If you are using it as an outline you will need to use alcohol based pens so that the Memento doesn't bleed into the colours. 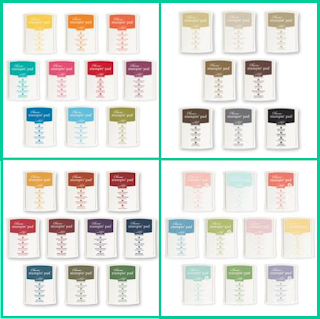 Stampin Up Classic Ink Pads - again these are water based dye inks. Basic Black however is waterproof. Classic inks can be used on most porous types of paper, however when watercolouring with Aquapainters or Blender pens, Shimmer paper or Watercolour Card won't pill when wet. They can take an age to dry - if at all - on glossy, coated and non-porous surfaces. As it is very quick drying, Classic Ink pads aren't suitable for heat embossing. Stamps are easily cleaned with baby wipes. Versamark - is waterbased and transluscent. It's ideal for stamping an image that is going to be heat embossed as it is slow drying. Versamark can also be used for resist stamping and watermaking or tone on tone effects. Again, stamps can be cleaned with a baby wipe. I think the main thing to remember when colouring in is that opposites work best. So, if you want to watercolour then stamp the outline with a solvent based ink or conversely, if you use alcohol markers then use a water based ink pad.